If you are looking for a superior cleaning service in Brislington or Knowle that offers a long-term cleaning guarantee, you can be sure to find it with us. 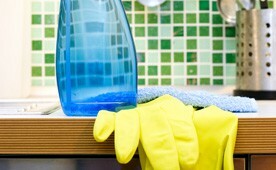 We offer a variety of domestic and commercial cleaning solutions, which can be customised to meet your dynamic needs. Our reliable and experienced cleaners always deliver a top quality cleaning job. We give you the assurance of a safe, environmentally friendly and thorough service by using only caustic-free cleaning materials. From in-depth one time cleans, to regular daily or weekly cleans, our dedicated team of cleaners deliver a prompt and perfect clean of your premises. We provide up-to-date references for all our vetted cleaners, to give you peace of mind and confidence in the knowledge that your job will be performed to the highest cleaning and hygiene standards. Call our customer service team today for a free, no obligation quote on any domestic or commercial service. Call us now on 0117 345 9015.